Richardson was a warm and vivid presence on screen, though her movie appearances were sporadic and no one film established her as that mysterious thing we call a movie star. Some will remember her as Lindsay Lohan’s mother in “The Parent Trap,”; the haunted title character of Paul Schrader’s “Patty Hearst,” the conflicted psychologist in “Nell.” I’ll most remember her for two more recent roles. In the drama “Evening,” released in 2007, she played the supporting role of a woman keeping vigil with her dying mother, played by her-real life mother. The two, with Richardson’s face a soft echo of Redgrave’s, had just a few scenes, but were mesmerizing together: The younger woman gazes determinedly at her fading mother, as if willing her to become her old self again. I remember being extremely moved by their scenes, which might well now be unbearably sad to watch. And her final starring role, in Merchant/Ivory’s “The White Countess,” is appropriately a lovely one. 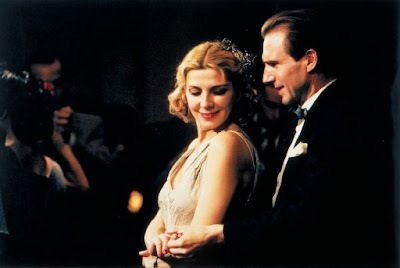 The film (which already had the feeling of an elegy, as it was Ismail Merchant’s last) is set in ’30s Shanghai, with Richardson playing a poverty-stricken countess who charms a blind American businessman (Ralph Fiennes). Moving with regal posture and speaking in a voice delicately soaked in whiskey, Richardson’s character represented a glamorous world now fading away; something beautiful, now gone.